A devotional and challenging book comparing our spiritual journey with the travels of Abraham. As believers in Christ we are given many examples of what we will experience during our spirutal journey. 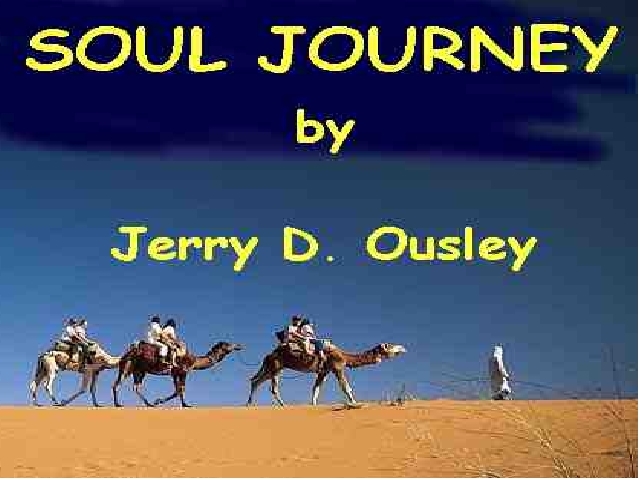 "Soul Journey" offers us some of those examples as found in the life of Abraham. His physical journey covering his lifetime is a wonderful reflection in the otherwise dingy water of life of our own spiritual excursions. Whether we are looking for advice for life or just examples of what we may come across, Abraham's epxeriences both good and bad provide a well from which we can draw in our own lives.